Due to some unknown administrative oversight, we didn't release a news article last week. In fact the entire Polyhedron Collider team didn’t do a damn thing last week. 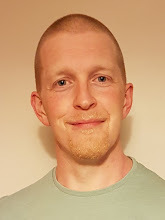 Now I have a valid excuse, I’ve got a new job and I’m trying to reevaluate the whole work/life balance (or should that be work/board game/life balance?). Steve and Andy obviously decided they just couldn’t be bothered. I think stronger leadership is required and will soon be making my bid to oust Steve as head of the organisation. Internal politics and lazy writers aside, it's actually been a quiet couple of weeks in the world of tabletop gaming but that doesn’t mean that plenty of board game and role playing game shenanigans haven’t been going on. 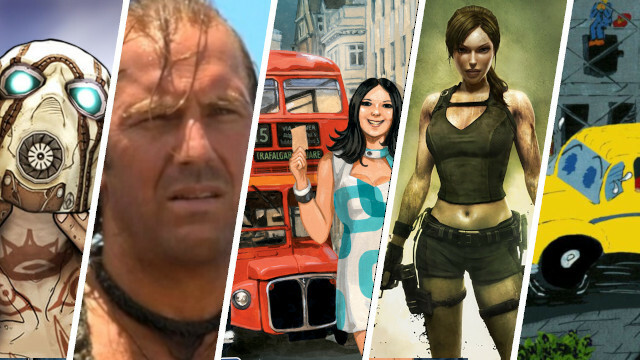 We’ve got news from the Borderlands, Waterworld and London, and more buses than a National Express depot. 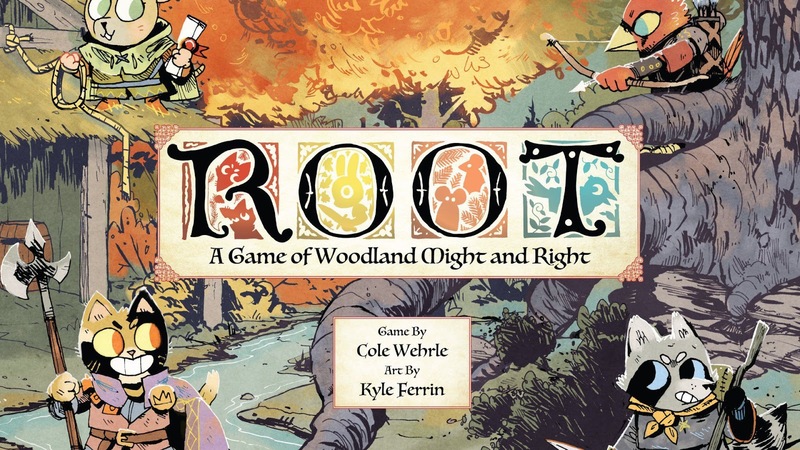 If you need more than just Steve's, Andy's, Jon's and my word for it, Root is pretty bloody great as BoardGameGeek revealed recently with the 2018 Golden Geek Awards. Needless to say, Root did quite well. Very well in fact. The rather wonderful asymmetric game of woodland warfare that sold out in retail pretty much as soon as it arrived and recently enjoyed a highly successful Kickstarter campaign can now have a box adorned with many a BGG Golden Geek badge for Board Game of the Year, Best Artwork & Presentation, Most Innovative, Most Thematic Game. It even came second in Best Strategy Game (Brass: Birmingham took gold in that category). Or should that be Boarderlands? (I'll get my coat). Gearbox, the makers of the critically acclaimed FPS have revealed their first board game tie-in. 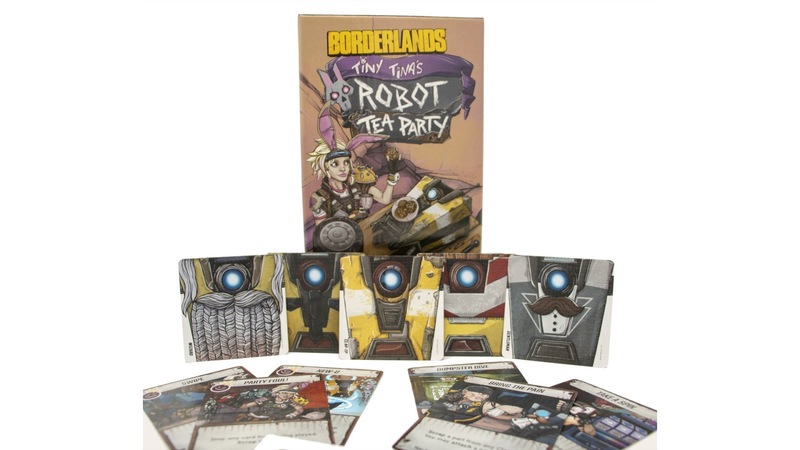 Tiny Tina’s Robot Tea Party was released at PAX East at the end of last month and will be widely available soon (if not now). This is a very quick, light hand management game where players aim to build a Claptrap. For fans of the game series though this board game tie in caused quite a stir as it’s set a good 5 years after the events of Borderlands 2 and teases at some of the characters and things that players can hope/expect to see in Borderands 3 soon. Rage Against the Machine and Audioslave guitarist, and all round super-geek-cool-guy, Tom Morello, assumed his position behind the DM screen after a bunch of kids from his neighborhood rolled a natural 20 for persuasion when searching for adult help in taking up Dungeons & Dragons. 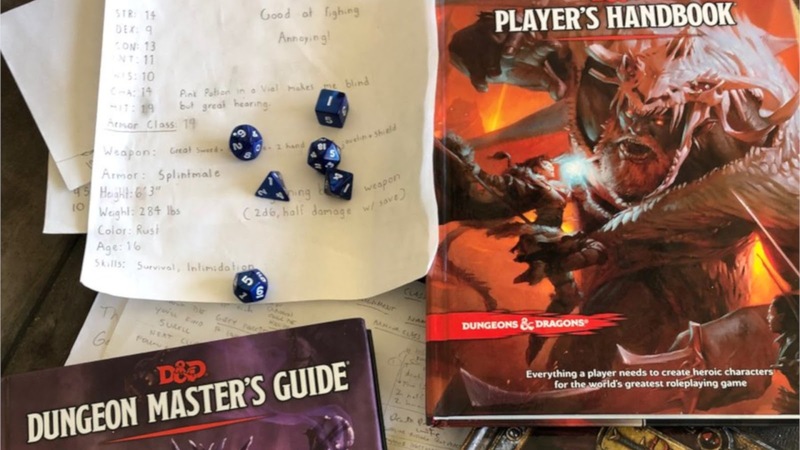 He took to Twitter to announce his #CommunityService with a photo of handwritten character sheets, PHB DM’s Guide and the 3.5 edition of the Monster Manual. Tug on your short shorts, squeeze into your tank top and polish your desert eagle (not a euphemism) because Lara Croft will be landing on your tabletop later this year. 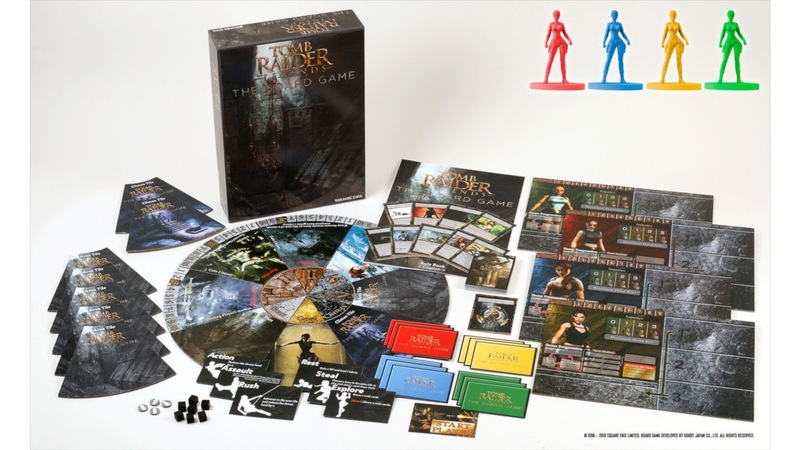 In fact 4 Lara Crofts, presented in brightly coloured plastic will be in a new Co-Op cave exploration board game from Square Enix co., Ltd and designer...ah...I see someone forgot to put any details on boardgamegeek such as designer, artist or even mechanics. Are we even sure it's a boardgame? Out this spring or summer, hopefully preceded by some information! 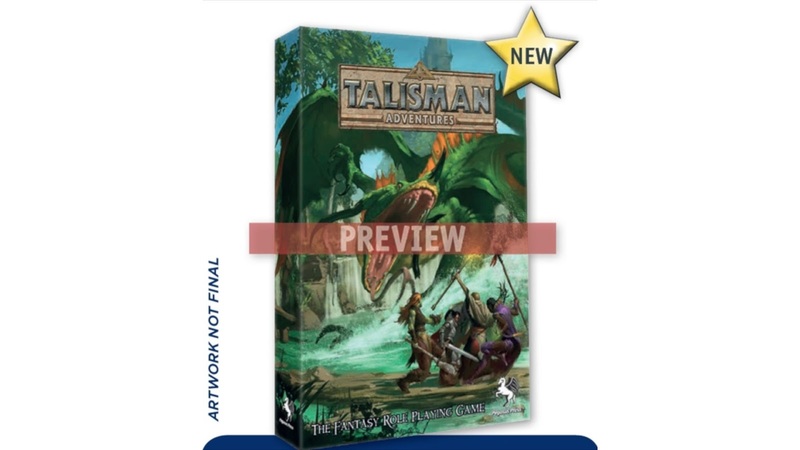 Pegasus Spiele released some long awaited news at the end of the GAMA trade show last month about the series of Talisman games they’ll be releasing over the next year. Talisman Adventures: The Fantasy Role Playing Game with more evil wizards will be available this summer. Evil wizards, imps, knights, trolls, ghouls and...well, everything else fans of the board game (just Jon then…) would expect are in there. The system uses just 3 D6, with one being deemed the Kismet Dice, influencing the player’s Fate - should a 1 or 6 ever be rolled on this die, there will be game impacting consequences. 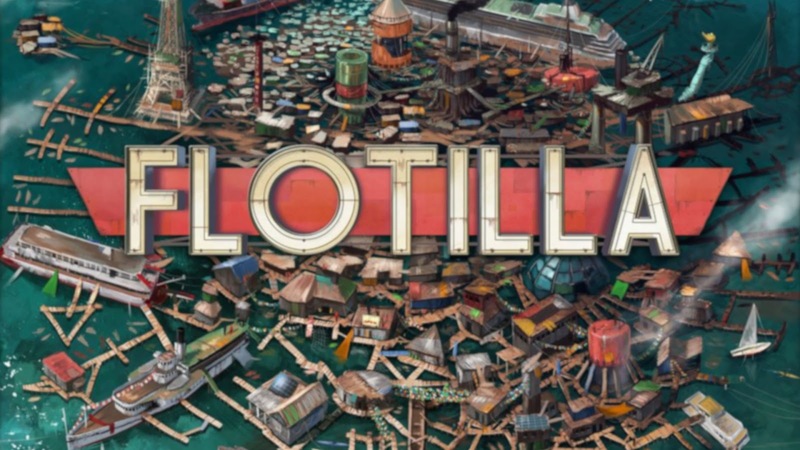 Set in a 1950s post apocalyptic world where sea levels have risen forcing man kind to create a floating city, the Floatilla, players start as Sinksiders, roaming around the ocean board collecting all manner or resources and relics to try and forge a better world. In the second stage of the game players attach their buoyant outpost to the Flotilla as Skysiders and now compete for influence and dominance. The most interesting thing about this game is that it's the second game in as many months on this theme, with the other being Megacity Oceania from Hub games which we'll hopefully see at UK Games Expo in June. Flotilla, from Wizkids, will be released in October. Splotten Spellen’s Bus is getting a much needed, and much demanded, reprint in the form of 20th Anniversary special edition courtesy of Capstone Games. 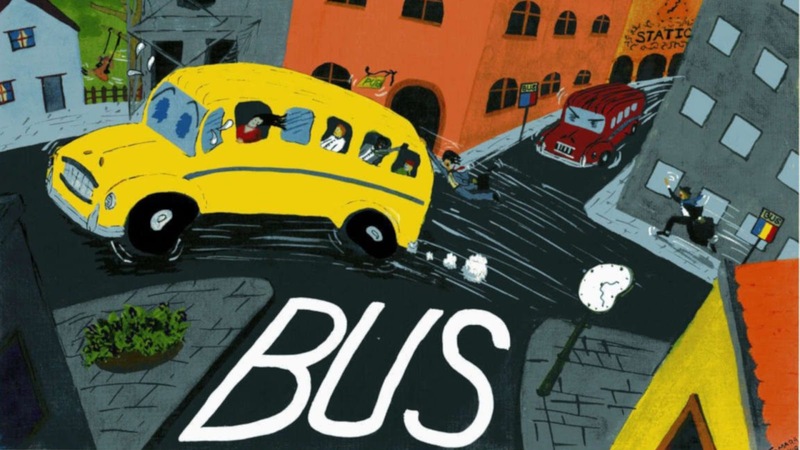 Bus was one of the publisher’s first games, where 3-5 players compete in a very strategic game of route building and pick-up-and-deliver. However, the publisher, who also released games like Antiquity, Food Chain Magnate and Roads & Boats (also by the same design team), are somewhat notorious for very small print runs, making their games somewhat of an extra special purchase. Capstone have no such reservations and will making use of their new pre-order system ready for an Essen release. 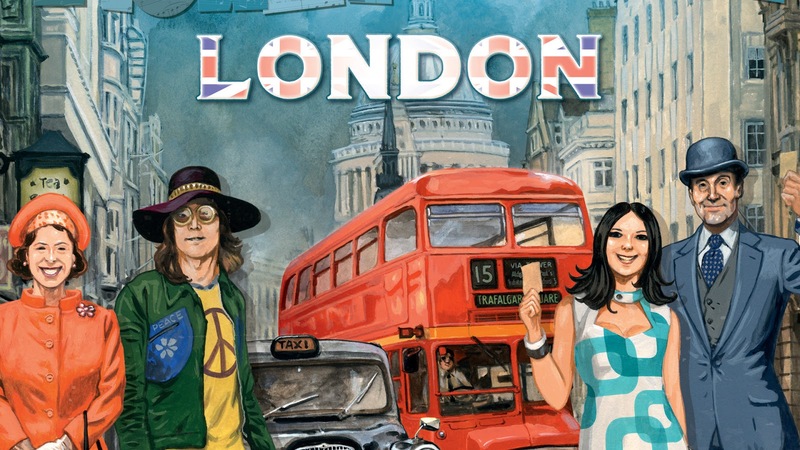 Days of Wonder announced yet another Ticket to Ride sequel, this time London of the 1970s is getting the Alan R. Moon treatment. This follows in the footsteps of the very successful Ticket to Ride New York with a slick and streamlined ruleset that can be taught in mere minutes and is ideal for newer gamers. Much like New York replaced the little plastic trains with little plastic taxis, this iteration will make use of the iconic London Double Decker bus. The Netflix series based on Richard K. Morgan’s novels will soon become a tabletop RPG courtesy of Hunters Entertainment (Kids on Bikes, Icarus, Outbreak). 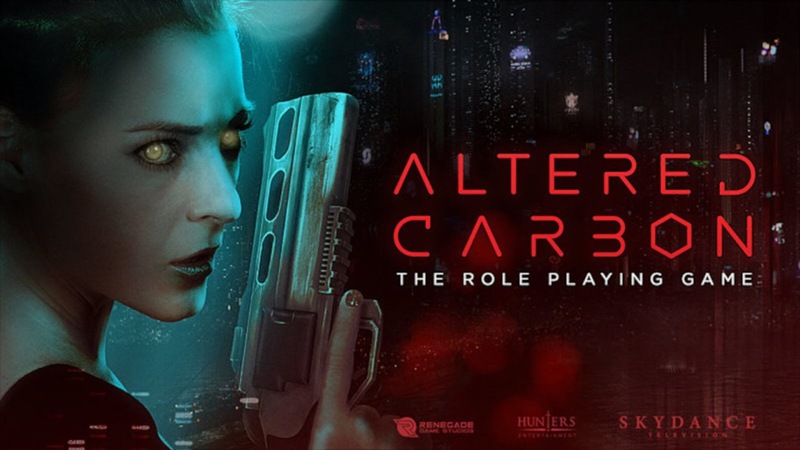 The game will be a directly follow the Netflix show (which has recently signed for a second season) and will be coming to a crowdfunding platform (probably Kickstarter) later this year for physical release in 2020.